Five Tips For Cross-Cultural Missionaries Within the U.S. When I first entered into vocational Christian ministry over twenty years ago, I had no idea of the personal growth path to which I was embarking and had no thought of the various ways that God would work in and through me in the ensuing years. One of the most significant ways that I have seen God work in my life is in responding to His call to work cross-culturally within my own country and, more specifically, within the African American community through my time on the staff of The Impact Movement. Although I'm unsure of the exact percentages, I know that there are a fairly small number of missionaries serving within the U.S. that are serving in a primarily cross-cultural context. 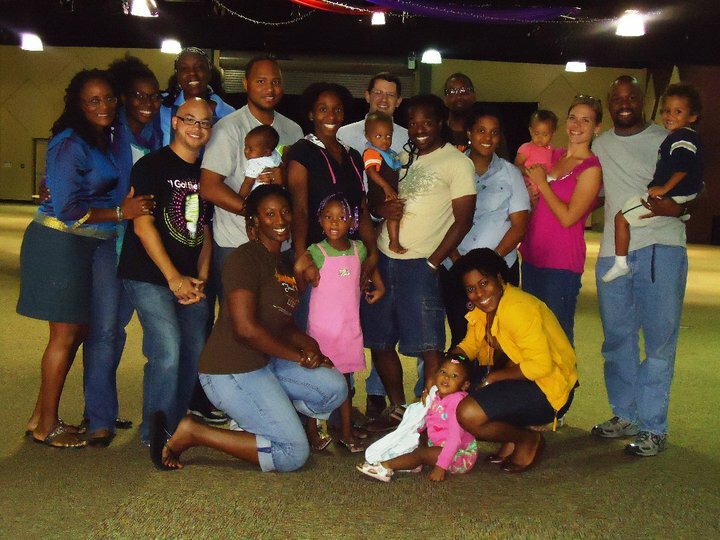 For staff members in national campus ministries like the one with which I serve, Cru, most spend the bulk of their time ministering to those that are from a similar ethnic background. Some of the best advice I received when I first began ministering among African American students was simply to "be myself." What others meant when offering this nugget of wisdom was that I didn't need to try to be someone I wasn't in order to impress or prove myself to black students. What was most important was that I needed to love those I was seeking to connect with and carry myself with humility and grace. I didn't need to try to "fit in" by adopting a hip hop style of dress, clumsily incorporating black slang into my conversation or pretending I had knowledge of black culture that I didn't yet possess. If I was perceived as being phony, then my credibility would go out the window. 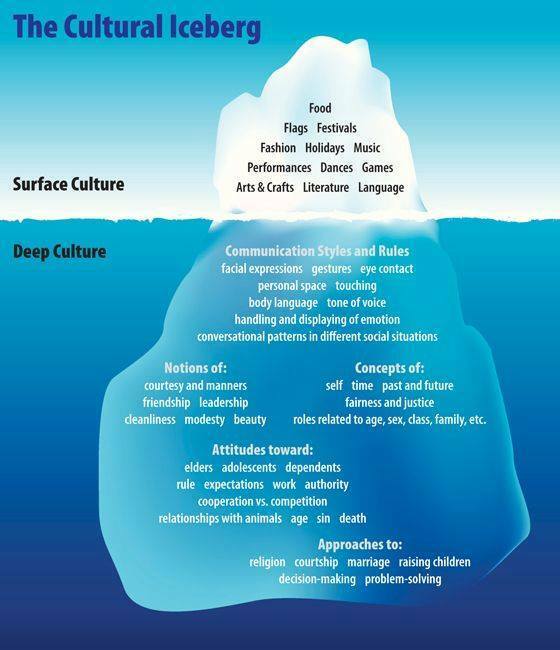 While being aware of cultural values is important (see point #2 below), we missionaries can succumb to treading on cultural stereotypes, particularly when we initially begin to interact with a new culture. If we're basing our cultural assumptions only on what we've been taught as children or based on what media portrays to us, we run the risk of seriously offending and distancing ourselves from the very people we want to reach. So be yourself and demonstrate humility when you make mistakes. But be comfortable in your own skin. Along with authenticity, it's also important to be a learner. When entering into another culture, we will likely have to adjust to a myriad of cultural differences from what we're familiar with based on our own experiences. Some of these differences may be categorized as behavioral preferences like preferences for food, music or language, but some of them may be more "below the surface" such as time orientation, views on family or whether a culture is more individualistic or group oriented. When ministering cross-culturally, we need to have a learning posture when interacting with the host culture. Learning directly through relationship is paramount and we can also learn about a culture through the books we read, movies we watch, news sources we pay attention to, churches we attend and a host of other ways. When ministering within a culture where a language besides your own primary language is the norm, taking steps to learn the language is critical. Never consider yourself to have "arrived" and always pursue new learning opportunities. Quite simply, our ministry will lack fruit if we don't have a genuine and sincere love for the people that God has called us to influence. Jesus said that all people will know that we are his disciples by our love for others (John 13:35) and this is certainly the case for cross-cultural missionaries. It isn't our biblical proficiency, adeptness in apologetics or our ministry skills that will ultimately leave a lasting impact on people. Although these things are important for the missionary, it is God's love for them, demonstrated by the Holy Spirit working through us, that will have the most powerful impact on others. Not only is it enough to simply love individuals, I think we need to also have a love for their culture. When I take the time to learn about someone's culture or when I make the effort to respect and honor that culture, it helps me eventually come to a place of genuinely loving that culture. This, in turn, opens the door for relationship with the people of that culture. If our normal posture is one of constant critique of the host culture while ignoring the negative aspects of our own, people will begin to tune out our message. One of the highest compliments I ever received came from an African American colleague who said, "I know that you love me but I also know that you love my people. Because of that, I'll go into battle with you." When we love people and their culture, a powerful dynamic is unleashed within God's kingdom. 4. Find Mentors Who Are "Safe"
For those that serve in cross-culture ministry within our home country, I've found that most of us "hit a wall" after about 18-30 months. The honeymoon wears off, many of our idealistic notions of changing the world have evaporated and we might feel very alone. My story is no different. I found that some that I had once considered close friends now didn't seem to "get" my realities because we no longer had shared experiences. When confiding about my struggles or challenges in being a white man ministering among African Americans, I often received blank expressions when I hoped to received empathy. As a tool of self-preservation, I learned that I had to be much more selective with who I was vulnerable with about my struggles and questions in ministry. I sought out and eventually found those of my own culture who had a similar ministry focus, as well as African American mentors that love me and believe the best of me. Over time I've become much more comfortable in knowing there are certain places and people where I can share about my experiences and there are some places where I simply don't go there. In order to stay in cross-cultural ministry for the long haul, you need to find "safe" people who will walk along on this journey with you. When I refer to "safe" people I don't mean those that won't rebuke or exhort you when needed, but I do mean those that you know are for you and your good. It is those friends that can speak truth balanced with grace because of their love for you that will enable you to continue to press on. You will make mistakes. You will fail. Things will not always turn out as you planned. But our personal relationship with God and remaining in spiritual community with others will help you remain in the game over time. Not to sound overly spiritual, but our personal prayer lives, walking in the Spirit, our commitment to daily reading of the Scriptures, journaling, personal and corporate worship, fasting, fellowship with other believers and the practice of other spiritual disciplines have helped me stay engaged during the highs and lows of cross-cultural ministry. Although there have been challenges along the way, I'm learning that as one that is fully and completely loved by God, my value and worth is not dependent upon my acceptance by others or the perceived fruitfulness of my ministry. My desire is to keep my eyes on Jesus who endured the cross because of the joy that was set before Him (Hebrews 12:2). God has not called us to be successful in the eyes of others but to be faithful to what He's asked us to do. Although cross-cultural ministry is extremely rewarding, it is also very hard. If God has called you to step out of your cultural comfort zone and to enter into the world of another for His sake, He has given you a holy calling. You may see much tangible spiritual fruit or you might not see the difference your life has made until the other side of eternity, but I encourage you to stay faithful to what God has commissioned you to do. It's worth it. When I feel overwhelmed or not sure what my next steps are, God often directs back to this verse. I take comfort in knowing that I need to: 1) Walk humbly with God, 2) To extend mercy to myself and others, and 3) To do what is right. This is what God requires of me. This is what God requires of you. Press on.